There’s nothing better than Summertime in Chicago? Chicago natives like me wait all year for the warmth of summer and all of the fun that comes along with the long sunny days. Summer weekends are busy making sure that we cram as much fun in the sun in as possible while making the most of our fabulous city. Summer in Chicago with kids is absolutely spectacular! 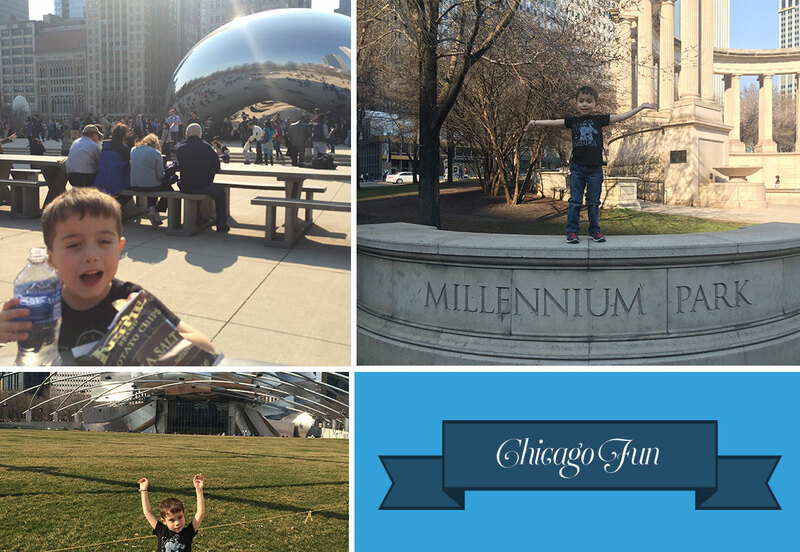 I love experiencing summertime in Chicago through the eyes of my little boy Harry. My husband and I travel regularly all year long, but once summer arrives we stay put in our sweet home of Chicago because we feel there is no better summertime city! 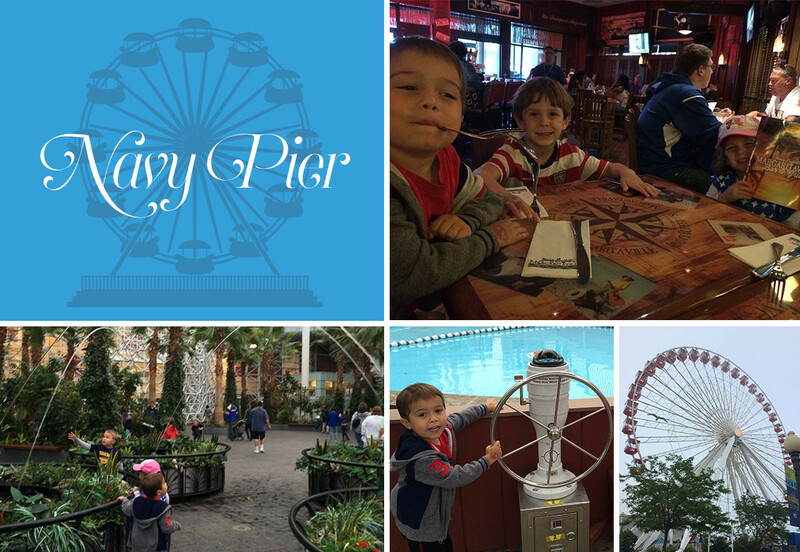 There are endless opportunities for families with kids of all ages to explore Chicago and make memories together in the summer. Everyone from toddlers to teenagers will appreciate the excitement and joyous energy of Chicago in the summer. Harry’s favorite spot on a hot day! He loves to play with kids of all ages and splash while the fountain’s faces spit a refreshing blast of water on their heads. We love watching the kids run back and forth in the fountain. TIP- Bring a towel and extra clothes to change into afterwards because kids love to get REALLY wet! Maggie Daley Park is an extraordinary new park that only opened a few years ago but is already a Chicago treasure. Playing at Maggie Daly Park is fantastic Year round but especially in the summer! Be prepared because your kids will want to play for hours while you enjoy the beautiful views of Lake Michigan and the Chicago skyline. 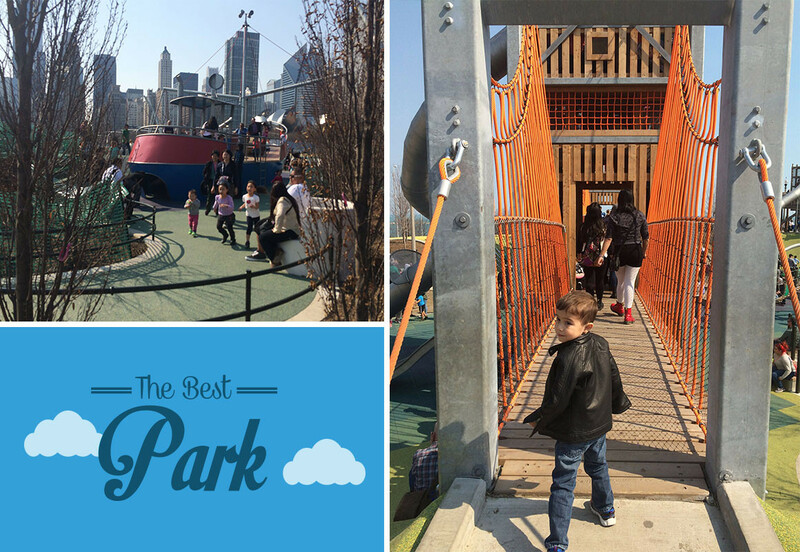 These parks are state of the art but they can be crowded, so check out our post on best ways to thrive together in Maggie Daly Park. TIP: Take kids to the bathrooms before you head over to play because there are not restrooms at the park. Ride the Ferris Wheel and all the other fun outdoor attractions, check out the Chicago Children’s Museum, grab dinner and drinks at Jimmy Buffett’s Margaritaville, and then stay for the spectacular Wednesday and Saturday night Fireworks set to music over Lake Michigan! pose for pictures with the Bean, take in the beauty and culture of the state of the art architecture and famous art pieces, discover the gorgeous and lush gardens, and enjoy a picnic and a free concert on the lawn at the Jay Pritzker Pavilion. Everybody loves Chicago’s newest spectacular green space. It’s 2.7 miles of an abandoned rail line that is now home to a multi-use recreational trail and parks all perfect for families to enjoy together. What’s not to love about a free zoo in the middle of a beautiful park with stunning views of the city skyline?! Harry loves riding the train and the carousel and visiting the giraffes, polar bears, flamingos, and gorillas. Be sure to also walk over and visit the Farm in the Zoo to feed the cows and watch baby chicks hatch out of their eggs and don’t miss an opportunity to climb into the giant Tractor! Grant Park in the summer is home to so many great festivals like the Taste of Chicago. If your family is into music you can take your super cool kids to the Kidzapalooza family concerts at Lollapalooza. If it’s hot, take a break and relax at Buckingham Fountain! Chicago is home to so many beautiful Lake Michiagan beaches. Each summer, we love to play on the beach! 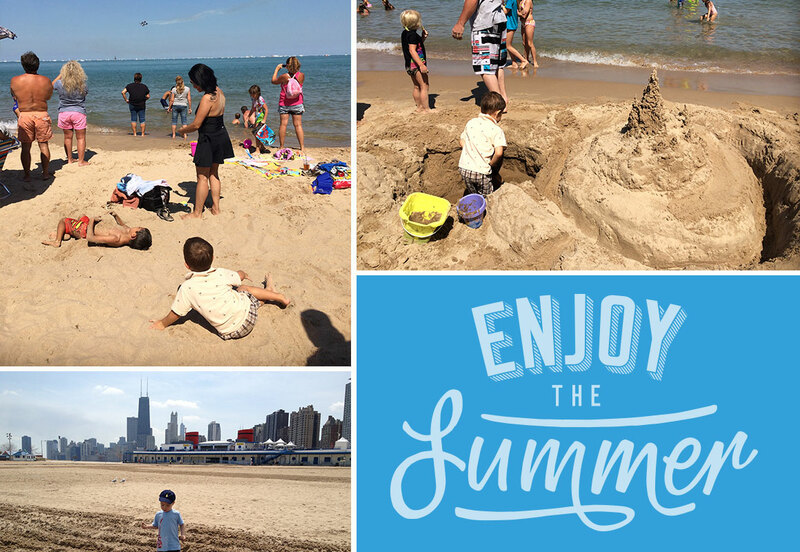 Our favorite beach day from last summer included building sand castles while watching the Air and water show at Oak Street Beach – now that is living! Summer in Chicago is a perfect excuse to have a drink and a snack at Castaways on top of the Boat House at North Ave Beach or grab lunch at Oak Steet Beach Food + Drink. Chicago is a lush and beautiful city full of bike paths and trails. Renting Bikes is a fun and active way to cruise around the city’s streets, parks, and beaches. Bikes can easily be rented throughout the city, at Navy Pier, in Lincoln Park, and at North Street Beach. With two awesome MLB teams and world-class baseball parks, Chicago is the perfect place to take the family for an unforgettable baseball game. Cheer on the White Sox and let the kids play at U.S. Cellular Field and Root , Root , Root for the Cubbies at historic Wrigley Field! Both are an absolute MUST for baseball lovers of all ages! Climb up the Platform and take an El ride around the city, pick up a map and have your little navigators tell you which elevated train line you need to take to get to your next stop. 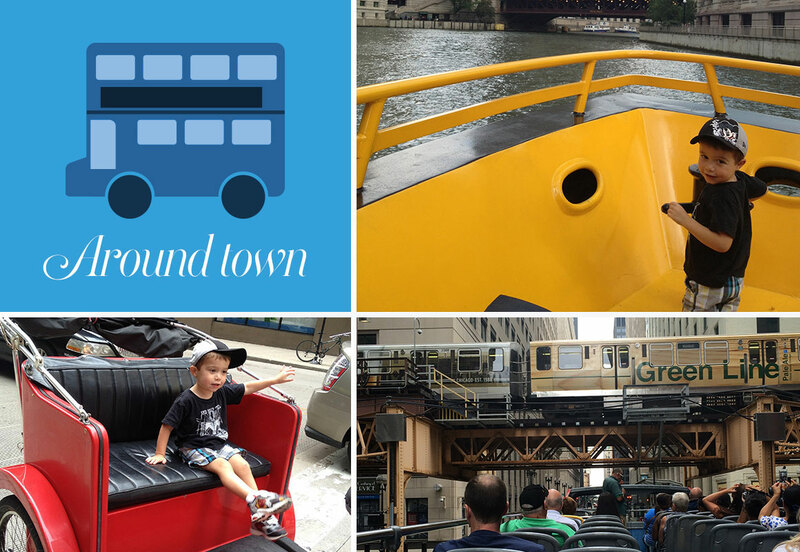 For more fun ways to see the city cruise on a water taxi, hop on a double decker bus, or jump into a pedicab- all are a perfect way to transport your crew around the city and create memorable experiences for the whole family. This summer’s newest Chicago hotspot! Everyone is checking out the new Chicago Riverwalk. Although the renovation is not fully completed there are many great restaurants, bars, and parks to enjoy along the river walk. Enjoy a Night Out in the Parks- Chicago parks all over the city host events, festivals, Movies, and activities all summer long. Our favorite: Watching the Wizard of Oz in Oz Park (this summer it’s scheduled for August 23rd)! We love to cruise along the Chicago river and take in the rich architectural history of the city. Kids will love waving to other boats and going under the bridges of the city and might just fall in love with architecture along the way. We love to grab dinner or lunch while exploring the cities rich cultural neighborhoods. It’s a great way to get a true flavor of the city. Take the family for Dim Sum in Chinatown, kabobs in Greek Town, Spaghetti and Meatballs in Little Italy, Chicago Style Deep Dish Pizza in Lincoln Park, or a great Chicago Dog in Wrigleyville!